C'mon folks, name all the things (and provide pictures if you can) of any/all issues that you have with Mineshaft, though I do ask that you avoid "balance" related issues, no layout changes etc will be made at the moment, I'm just looking for power issues, commander clutter, structure placement oddities, flickering textures, broken collision etc. Please do keep all issues relating to Mineshaft, at a later date I will be going through the other maps too, so we will eventually get around to those pesky issues for all of the maps. repair and cave are far to close to one another in regards to defending, it's hard for kharra to keep res over that side of the map of . 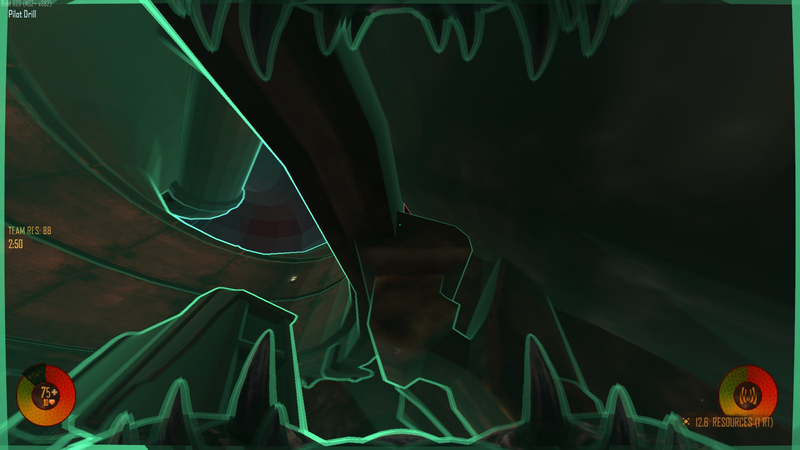 when repair is starting marine spawn its a horrible start point for kharra to deal with, it puts central, cave in reach aswell as multiple res nodes. i will post powernode issues soon. i would like for it to be harder to kill cavern for marines, perhaps make entry point smaller? later on tonight i'll record a video with everything wrong in my opinion with mineshaft. it is my favourite map overall but it only worked very well in previous builds. I have alot more to say about it but need a PC infront of ne to get my thoughts out more clear. One that it seems Marinesided if Marines know what they're doing, but on lower skilled servers also hard for Marines, because they are not able to capture and hold Central. I think exiting the vent to Waterpumps is kind of a stuck spot/rookietrap. I see a lot of ppl die there due to that. 2) Cart Tunnel is an issue. a) Carttunnel has no cover at all for skulks. The only thing you have is at the really high top that only lerks could really use to bait some bullets. But Skulks up there take quite a while to go down... while it might be good on first glance, it gives skilled Marines quite some time... without celerity you really feel helpless in the earlygame. b) Having a Marine in conveyors feels ... weird... or maybe it is the fact that Sorting and Deposit are so close together. Maybe that is the reason combined with CartTunnels that this Map feels Marinesided if skilled Marines are on the field unless you get really good Lerks up. Marines just hold CartTunnels, Conveyors, Central and they have SEVEN RTs up? @Handschuh he said in the post to AVOID balance related changes and only focus on bugs like occlusion issues, stuck spots etc. 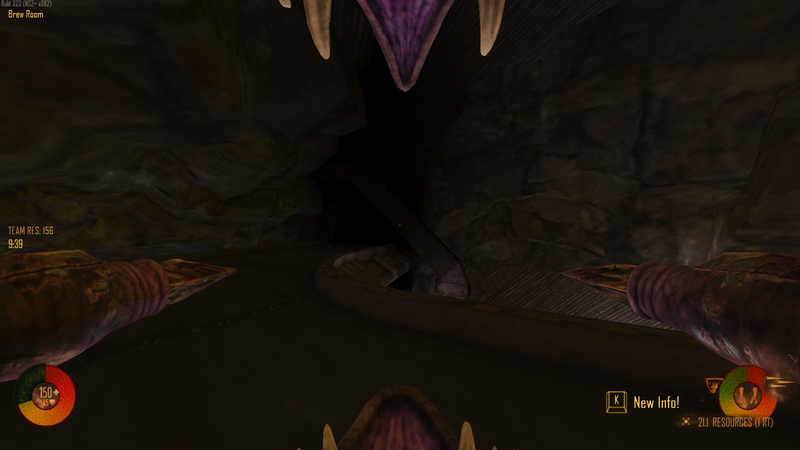 Easily one of the worst vent entrances/exits in any official map. Thanks for the posts folks, I will first do a bug tweak regarding what feedback i've gotten here and privately on discord. After that, I will begin working on a tweaked version of mineshaft to hopefully address "some" of the concerns regarding balance, though I don't want to make huge sweeping changes, I do want to see mineshaft played and enjoyed more. Can you check the area under the walkway between the bottom left tech point and water treatment? I remembe it very annoying to use and also annoying to climb back up again as marine. I think he means the area between pilot drill and water pumps. I think that area is fine, unless there are stuck spots or it's really hard to get out. Marines have no business being down there anyway. vent at waterpumps is awesome, perfect ambush spot and makes it easier for aliens to get away, if you have problems getting up there, try holding shift, i've never failed. you probably just mad because its a good spot. it would be a tragedy to lose that big X or the vent! (perhaps shorten the vent and bend it round the corner? Stuck Spot. Should have collision geo. This is the area I was talking about... I think collision geo to even out the walking area would be nice, it is really annoying walking there. Tiny hole lol... But the reason I screenshotted this is because it is very annoying to get into that vent if you are not using the scaffolding. It is the vent entry from Pilot Drill to Central. Misaligned props. This is North Tunnels. Erm... Just no. This is in Cavern. Pitch black area on low lights in this vent (the one from Water Pumps). Another pitch black area in Brew Rooms. Make central drilling the 6th tech point, and make the hive impossible for marines to attack immediately from any entrance. And keep it double res. edit:i'll come back later and fix it. What about the big X makes it an awesome ambush spot or helps aliens in any way???? Like seriously it's so anti alien that my first thought upon seeing it was whoever created mineshaft must despise the alien side. DMD_mineshaft fixed that water pumps vent perfectly! Can you fix the glass ceiling in operations you can shoot babblers through if you gorge on top on the other side. One annoying gorge can just make it rain babblers in operations tech pt area. A fix for this is very difficult. 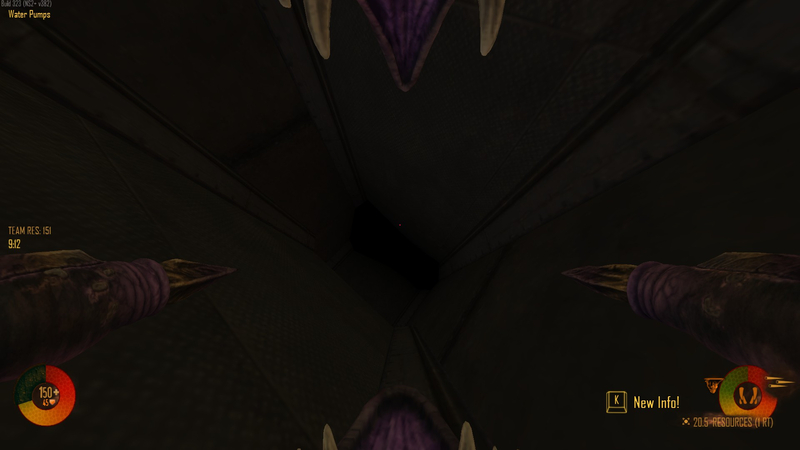 It is caused by pathing, on that outer area that you gorge up and drop your babbler egg etc, there is no pathing up there, so the babblers begin trying to find a way to the nearest pathing, which is inside, so they bounce and freak out trying to get to it and glitch through the geometry. 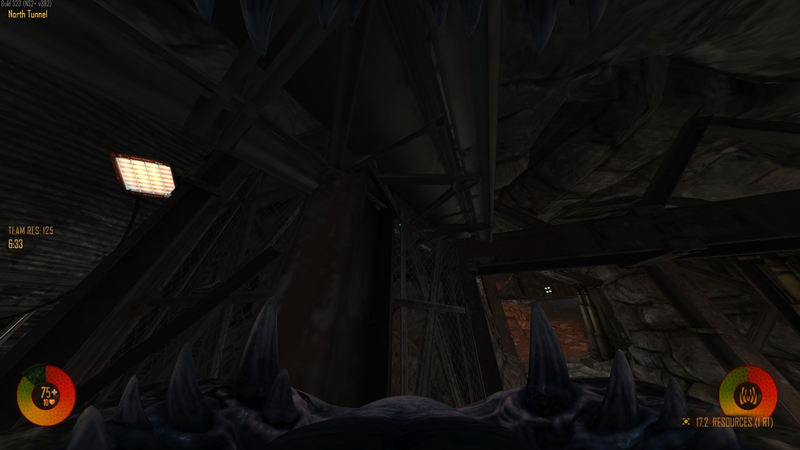 It is "almost" fixed on my version (ns2_mineshaft_shafted) if you want to try to reproduce there, but the issue is that now in that room, there is pathing overlapping, which causes all manner of other annoying issues. I will continue to try for a more consistent and workable solution though. Yea exactly that. Could place a bunch of boxes on top to obstruct a skulk trying to evolve. Or something like that. I can easily make that upper area as no evolve, but a determined gorge can still make it up there, I may also be able to make it no-build, but the gorge can build the babblers elsewhere. Doing those things only bandaid the issue, it doesn't fix the problem. It would certainly make it harder to abuse, so I will do it, but even after that fix is in place, it will still be possible to abuse, just harder. Yes but, "harder" makes it more like the person is determined to exploit. So a kick can be justified as any BOFH would do. Also, making the slope (wall and glass) thicker could probably help (not tested). Nobody really look there unless there is a good reason. 1/ A vertical collision wall will for sure erase the problem. Outside decorative matter this glass bubble shouldn't be allowed. The marines always think there's an alien in base. Only for that it should have been "blocked" a long time ago. Fixing Cave would be nice. It's a GL fest in there. 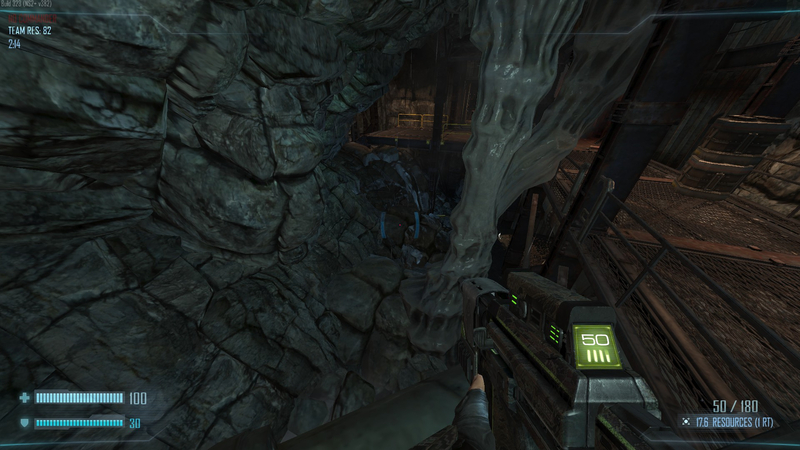 More stalagmites/stalactites to at least remove the possibility of a bombardment from far away. The hive is at the lowest point in the room. So anybody entering the room has the upper ground. Not the ideal configuration in any case for any life-form. It is already clearly an exploit... that is being abused... the person needs to get onto that area, go gorge, make babblers and then command them to "land" on the roof (which has no pathing)... they are already going out of their way to exploit... why aren't they being banned or at least kicked already to discourage them? Discourage more and it will be abused less. Making the glass/walls thicker is something I've already tried, it doesn't work, adding collision geo to the area also doesn't work... the geo isn't at fault, the ai needs pathing, that upper area has no pathing, the babblers will search for the nearest pathing and glitch through anything in the way. No... just... no... invisible walls are horrible. I can almost guarantee that all devs would be very much against this solution. This would completely change the visual aesthetic of the whole area, something I would be very hesitant to do. Not only that but it would require new assets to make it clear that its a danger area... again, can't do that either. These things are things i'm completely unwilling to touch. This is WAY more work than people seem to think and i'm already swamped with working on unearthed, splitting my time and effort to this extent would inevitably lead to something suffering... Also I did say something in my original post about this kind of thing. Yea that would work kash. Thank you. Obviously most server admins dont appreciate exploits. And most would kick for that one. Problem is most admins arent on all the time. And usually damage is done by the time they get there. Its hard for a gorge to get up there without gorging up there. And since the primary issue is when they have their base set up in operations making it rain on ips etc. Like i how i saw it. I feel if marines cant lane gap to see a gorge making a ladder or visually see them via glass or obs. or even auditory noises. Then maybe just maybe they deserve to exploit(not really). Thanks again i know its a superfluous minor fix. Its certainly worth fixing, especially if this is becoming more commonly known. I'll take a look at it later today, see if I can get the solution done and i'll send it across to be bundled into the next patch, in the mean time, I will also add it to ns2_mineshaft_shafted which should hopefully give an option to play without that exploit until the next build is released. You could ask the devs to make the "no evolve" texture also apply to placing babbler eggs. Could you put a tiny spec of pathing away from the glass to give the babblers a closer target? No, the pathing system in NS2 assumes one contiguous surface. Islands can easily mess up the system and cause tons of bugs. I can easily do a no evolve AND no build texture in the area to prevent both... but it will still be possible to clog ladder up there and exploit... The best I can possibly do with this is make it as awkward as possible to do, but even then, we may still see it happening. Regardless of how small the pathing would be, it would interfere with the pathing directly below it, which would likely cause all manor of annoying little bugs in operations. So its just not worth the pain of doing it. They're not even supposed to be able to go there. Those who know will just be blocked, those who don't will not even know. Plus it's cumulative with the next suggestion. No new asset required. All that is needed is already there. In fact it would fit nicely. I mean what's the point of this glass bubble if not to visually control stuff? Like machines and that lava flows. Right now you have a beautiful view on .. the void. I can agree that all things aren't that tidy and neat concerning those maps, but i'm not asking for something huge. If i ask it it's because i know it's quite possible without harm and putting too much time in it. 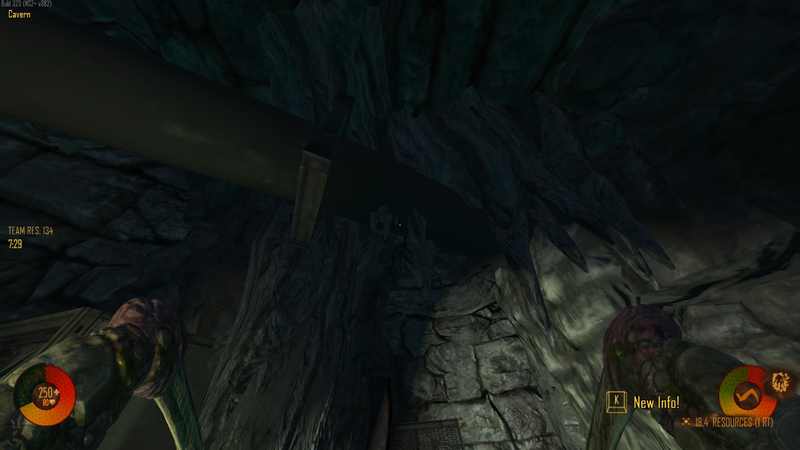 Just going to pipe in to say that invisible walls are one of the worst things ever to encounter in a game. They should never EVER be considered a solution for any kind of problem.